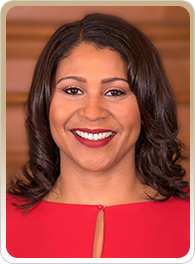 Former Supervisor London Breed is a lifelong community leader, London Breed served as the President of the San Francisco Board of Supervisors and District 5 Supervisor, representing the Fillmore/Western Addition, Hayes Valley, Lower Haight, Haight-Ashbury, Japantown, Alamo Square, North of Panhandle, Cole Valley, and Inner Sunset neighborhoods. London first won election to the Board of Supervisors in November 2012. In January of 2015, her colleagues elected her to serve as President of the Board. She was re-elected as District 5 Supervisor in November 2016 and unanimously re-elected as Board President two months later. London is a native San Franciscan, raised by her grandmother in Plaza East Public Housing in the Western Addition community, located in District 5. She graduated with honors from Galileo High School and attended the University of California, Davis, earning a Bachelor of Arts in Political Science-Public Service with a minor in African American Studies. London went on to earn a Master’s degree in Public Administration from the University of San Francisco. Prior to her election as District 5 Supervisor, London served as Executive Director of the African American Art & Culture Complex in the Western Addition for over a decade, transforming the struggling center into a vital, financially stable community resource, providing after school arts and cultural programs for youth and seniors. She also served for five years as a San Francisco Redevelopment Agency Commissioner and in 2010 was appointed by then Mayor Gavin Newsom to be a San Francisco Fire Commissioner, where she served until her election to the Board of Supervisors. 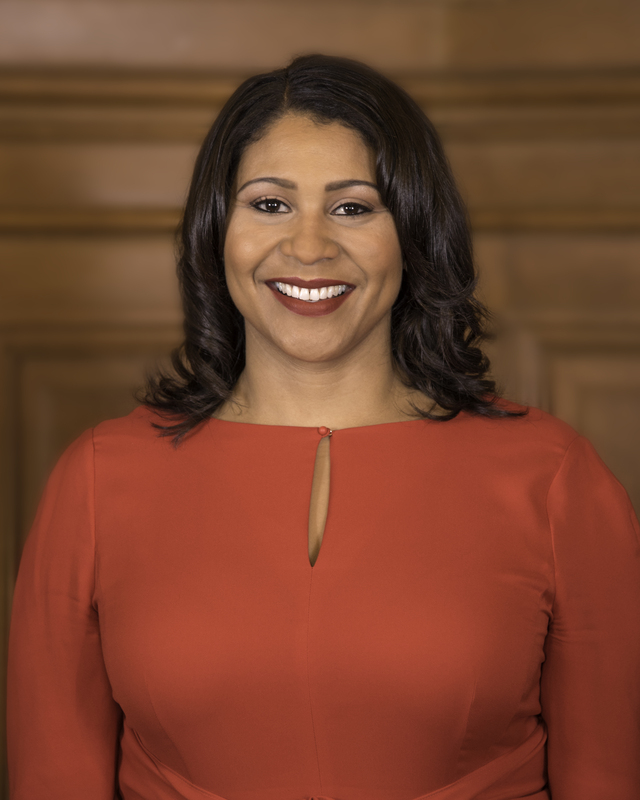 As Board President, London is the 2nd-highest ranking official in San Francisco, leading the legislative body of the city and overseeing a $10B budget with over 30,000 employees. She has dedicated herself to improving the City’s housing, environment, public safety, transportation, and quality of life. London has passed legislation to increase housing production along transit corridors and prioritize neighborhood residents for the affordable homes in their community. She helped rehabilitate 193 units of unused public housing for homeless families and is leading the effort to renovate thousands more. London passed the strongest Styrofoam ban in the country; drug take-back legislation that has kept over 40 tons of medical waste out of the Bay and landfills; and she has spearheaded San Francisco’s clean electrical energy program, CleanPowerSF, its most important climate change effort, which is projected to cut more than 940K tons of CO2 each year while reducing energy costs. In 2014, London tackled the City’s ambulance response crisis and helped cut ambulance response times by over 26%. She passed a complete overhaul of the City’s graffiti policies, and first-in-the-country legislation to protect music and nightlife venues. She championed legislation to replace hundreds of Muni buses and the entire fleet of Muni trains. She has fought for more navigation centers for the homeless and has convened a task for to study whether or not safe injection facilities can help IV drug users off the streets and into safe environments with access to real treatment. She is also working on improving mental health services for all San Franciscans. London also served on the Golden Gate Bridge Board of Directors, as a Commissioner on the San Francisco County Transportation Authority, and as an elected member of the San Francisco Democratic County Central Committee.